How is Apocalypse Defeated or Killed? Apocalypse is one of the X-Men's mega villains a villain powerful enough to take on the entire team and even defeat them. He was the villain featured in the 2016 X-Men Film: X-Men Apocalypse. How do you defeat Apocalypse? How do you kill him? Neither is very easy. It is actually not entirely clear if he can be completely killed as in typical comicbook fashion he tends to come back to life. Apocalypse has been shown going toe to toe with all of the X-Men and X-Force combined. He also has been shown out hulking the Hulk. Crucial to Defeating Apocalypse are the characters Cable, Stryfe or X-Man. Everytime Apocalypse it dies it tends to involve one of these 3. The son of Jean Grey and Cyclops is either Nate Grey "X-Man", Nathan Summers (Cable's Clone) "Stryfe" or Cable depending on the timeline and they tend to be heavily involved in stopping Apocalypse. They are even said to be destined to defeat him. All three possess potentially massive amounts of telekinetic power, though sometimes these powers are not available. Cable infected with the techno organic virus typically can only access limited amounts of his potential powers. The ability of the offspring of Jean Grey and Cyclops to kill Apocalypse is something foreseen by longtime Apocalypse acolyte Mister Sinister. 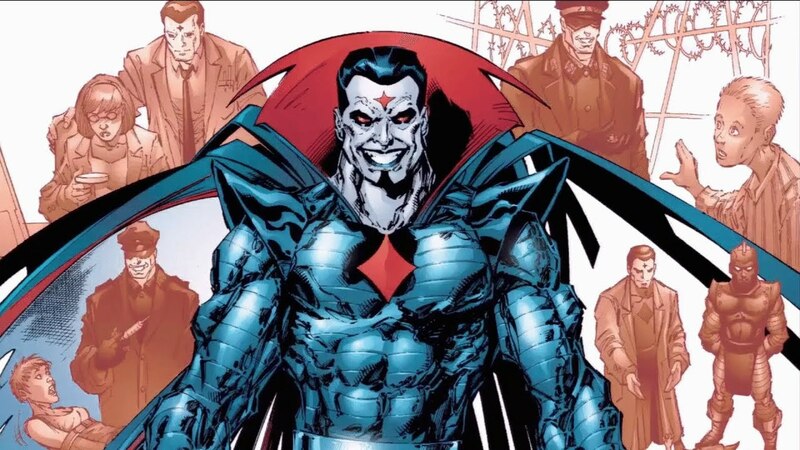 While Sinister acts the loyal servant in actuality he is using the knowledge and powers given to him by Apocalypse to create the very mutant capable of killing his master. He has been defeated and killed in the comics before though. Lets look at these occasions and see if there any commonalities. First thing to note is that taking down Apocalypse has never been easy and has usually taken a group effort. 1) In the story the 12 Apocalypse is trying to merge 12 mutants powers into the super powerful body of X-Man and then take it over. Apocalypse's real body has grown weak over the ages and he is kind of encased in the machine body he needs the body of X-Man to hold all of the other powers. All of the powers were chosen specifically to make him near omnipotent. There is a glitch, with Magneto being weaker than expected, and Apocalypse tries to adjust the powerlevel of his machine and this allows the Living Monolith to break free. The Living Monolith then release the remaining 12. Apocalypse's frail body is outside of the big metal frame it normally resides in and he is very vulnerable. Apocalypse manages to steal the body of Cyclops. Professor X tells the team that Cyclop's mind is gone so they hunt him down and Apocalypse is eventually killed by Cable. This is a fairly strong team of mutants. It includes two Omega level mutants Iceman, Phoenix and numerous other very powerful mutants. In his weakened state Apocalypse was no match. Stryfe is by no means a light weight he is extremely powerful. He is the clone of Cable trained by Apocalypse himself. There is one big battle in particular where Stryfe beats up Apocalypse. In the Xcutioners Song storyline Stryfe beats but is unable to kill Apocalypse. He catches Apocalypse when Apocalypse is badly weakened. Stryfe manages to do this by traveling back to ancient Egypt and waking up a sleeping Apocalypse. He is still unable to kill him. Do you want to see Apocalypse himself on the big screen? You can buy X-Men Apocalypse directly through Amazon below. Toylab is a proud member of the Amazon Affiliates program and is happy to bring Amazon products and deals directly to you.